Are you getting ready to list your home? Why not stage it before you open its doors to potential buyers? Homes that are staged often sell quicker than those that aren’t, especially in competitive markets. 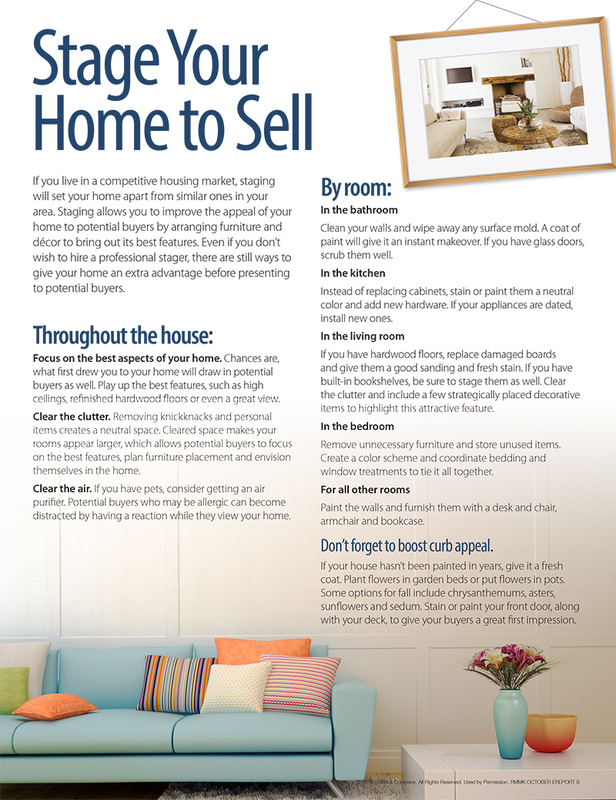 Whether you hire a professional stager or do it yourself, the following tips will help you show your home at its best.